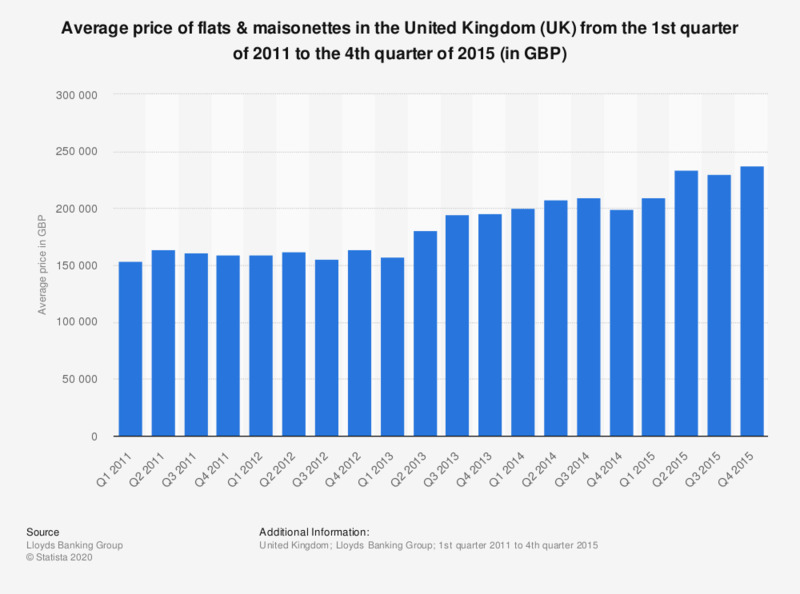 This statistic shows the average price of flats and maisonettes in the United Kingdom (UK) from the first quarter of 2011 to the fourth quarter of 2015, according to the Halifax house price index. In the third quarter ending June 2015, the average price of a flat or maisonette reached 233.4 thousand British pounds (GBP). This statistic includes flats and maisonettes from the secondary housing market from all periods as well as new buildings.